Kenta, a Pokemon master in the making, meets up with his childhood friend, Marina, at a Pokemon Center, to see how their skills have developed. Their battle is interrupted by a thunderstorm and the arrival of Bashou and Buson, two Roketto-Dan members using the Crystal System (which attracts Electric-type Pokemon). Their ultimate goal is to, under the guidance of Shiranui-hakase, bring Pokemon back to Sakaki. 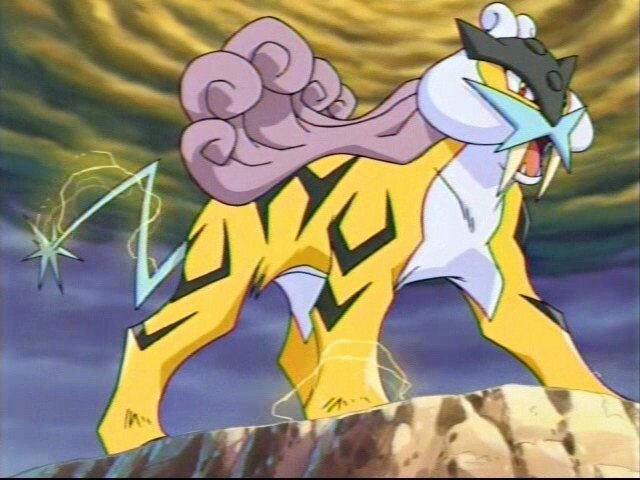 Kenta and Marina stumble upon this plan, and they try to stop it, but things get more difficult when the legendary Pokemon Raikou is captured.